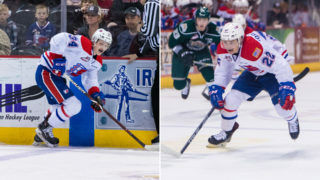 SPOKANE, Wash. – The Spokane Chiefs announced on Thursday that 2002-born forward Jack Finley and 2001-born defenseman Tyson Feist will each be joining the team as Affiliated Players this weekend. Finley was the Chiefs’ first round (6th overall) pick in the 2017 WHL Bantam Draft. Feist was listed in 2016. Finley, 15, from Kelowna, B.C., was the sixth overall selection in May’s 2017 WHL Bantam Draft out of the Pursuit of Excellence Hockey Academy in Kelowna. Last year, he posted 23 goals and 25 assists in 27 games with POE, adding a goal and five assists in five playoff games. So far this season, the 6-foot-4, 193-pound power forward has picked up three goals and 11 assists for 14 points in 17 games with the Okanagan Rockets of the BCMML. 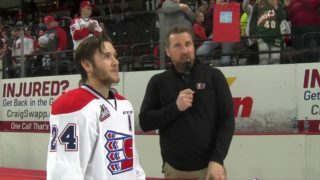 He also played two games with the BCHL’s Penticton Vees, scoring a goal, and won gold with Team BC at the 2017 WHL Cup, scoring twice in five tournament games. Feist, 16, from Dawson Creek, B.C., was originally a training camp invitee for the Chiefs in 2016. He was listed after impressing in camp and signed a Standard Player Agreement in June of 2017. Last season, he scored three goals and added 17 assists for the POE Elite 15s. 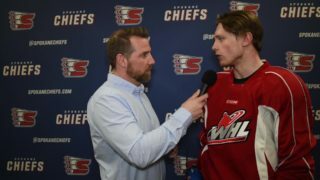 This year, the 6-foot-2 blueliner appeared in four games for the Chiefs before being reassigned to the Spokane Braves of the KIJHL, where he has played 10 games, scoring six points. 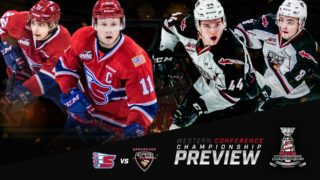 Spokane hosts the Everett Silvertips on Friday, plays Portland on the road on Saturday and returns home to take on the Seattle Thunderbirds on Sunday. 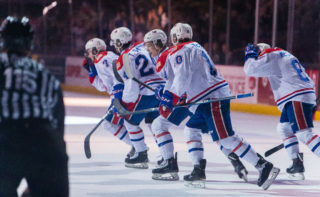 The Chiefs are back in action Friday, December 15 when they play host to the Everett Silvertips at Spokane Arena. 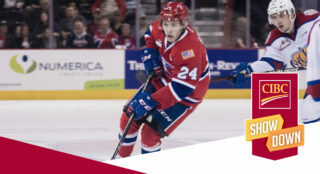 It will Spokane Chiefs Fred Meyer Calendar Giveaway Night with the first 3,000 people through the gates receiving a 2018 Spokane Chiefs vintage-styled calendar courtesy of Fred Meyer! It will also be a Fred Meyer Family Pack Night, meaning Chiefs fans can get a ticket, hot dog and Coca-Cola product for $14/person when they present their Fred Meyer Rewards Card at the Chiefs Ticket Office (min. 2 people).